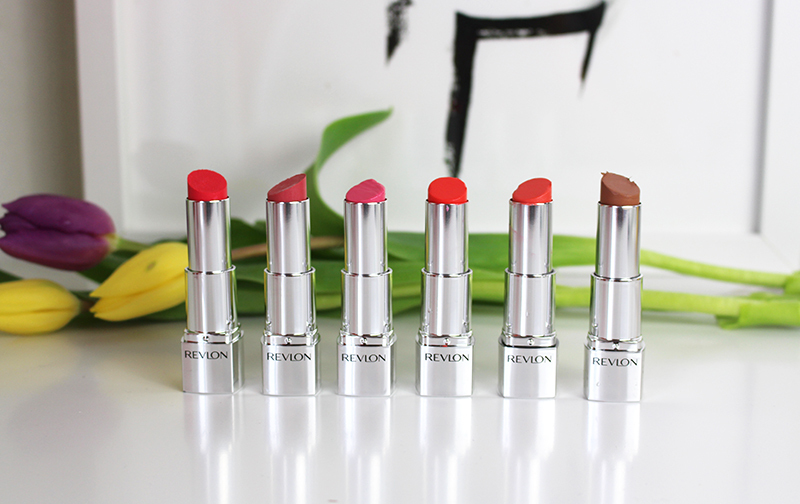 I’m always excited for a new drugstore launch, especially either Revlon or Bourjois so naturally I was looking forward to getting the new Revlon HD Lipsticks a try and I was ready to fall in love. At first glance the colour’s are beautiful, packaging is quite nice and sound like exactly what I want for spring/summer. Although I remain a little unsure what a HD lipstick actually is, I have been trying these for a while and I’m still a little on the fence about these. The biggest problem has to be the packaging, I like the silver mirrored barrel and I don’t mind the clear case however the lipstick doesn’t go the whole way down meaning I always manage to dent the lipstick and smear it down the clear lid when closing which doesn’t look great. I find that this has pretty much meant I have to force myself to use these as I almost fear denting them even more. That said the clear lid is great as you can see exactly which colour you are picking up even if you can see the smudged lipstick. The formula is unlike any other I have tried, it’s creamy with a slightly sheeny finish, although Hydrangea has got some sparkles in it. 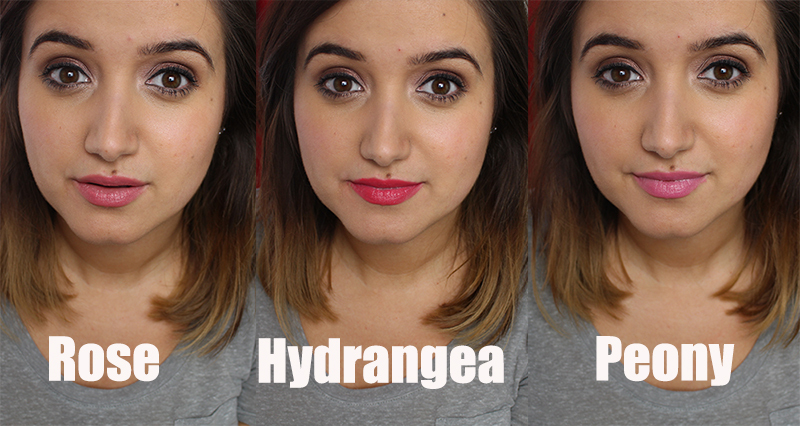 The pigmentation is nice and opaque within two swipes but I find that they cling into any lines or dry patches I have. I do find that if my lips are in good condition then it is actually a really hydrating and comfortable lipstick to wear. The colours range from nudes to pinks and oranges, meaning there is something for almost everyone but Peony and Rose are my personal favourites. However the fear of smudging, denting and ruining the lipstick still makes me avoid these lipstick, a repackage would really help. Worth trying but I’d recommend buying just one and seeing how you get on with it before buying a few different shades. 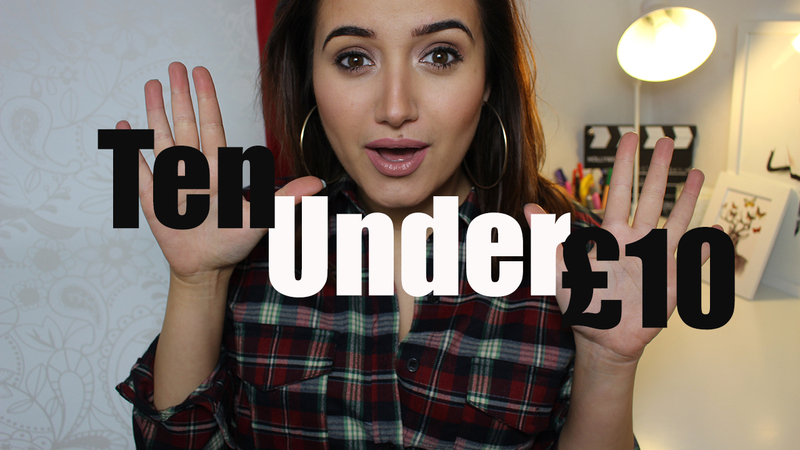 Since it’s January I thought I would share some of my favourite drugstore products which are under £10. Let me know in the comments which are your favourite inexpensive products that you use on a regular basis. The reason I started thinking about this blog post was because of the Nudestix I tried a while back, although I think they’re all quite nice the concealer stuck out to me the most and I’ve had it in my handbag since. The Nudestix Concealer Pencil is creamy and easy to apply, I never apply too much and can just use my fingers to blend it all in. Another product which is permanently in my handbag and which I find really helps me look more awake after a long day other than concealer is the Benefit High Brow. It’s designed for the brow bone and it’s great for this but I also love it in the inner corner of my eye or warmed up and blended on to my cheeks. The colour is great and it saves me carrying around highlighters which I always manage to shatter. Pencils we all use are eyeliners and brow pencils- there are so many great ones that I’m not at all too fussy as long as they’re pigmented and creamy. 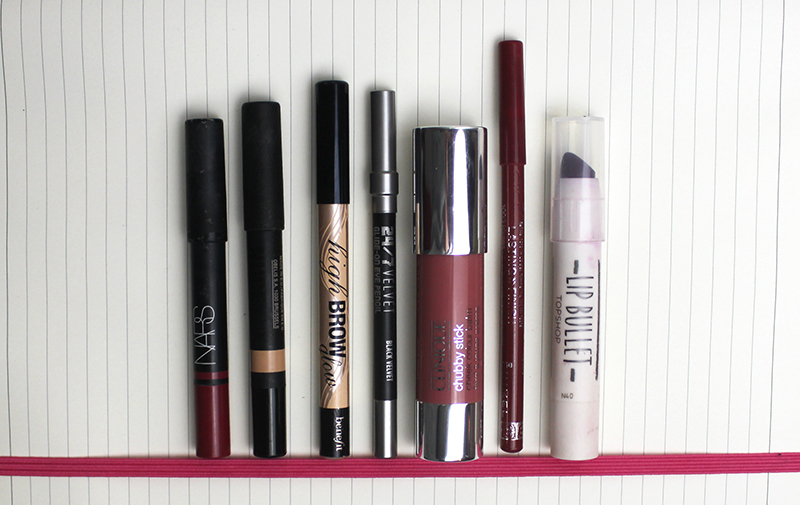 I love the Urban Decay 24/7 Liners and the Rimmel Liners, they’re just the best! Everyone has jumped on the Clinique Chubby Stick bandwagon but I still think Clinique does it best although the Revlon ones do come a close second. However when I am after something a little brighter, more pigmented and often matte I reach for either Topshop Bullets or Nars Lip Pencils. I also love Clinique Chubby Sticks Cheek Colour which are great if you are into cream blush! I don’t think I’ve quite mastered the eyeshadow crayon and usually do finish off with a shadow on top or through the crease but I do love the Kiko Long Lasting Stick Eyeshadows. What are your essential pencils/crayons?